What If something else happened? What If an event—poised on a knife edge—fell in the other direction? What If the Marvel Universe was…different? These are the questions posed, explored, and brought to their dramatic, reality-defying conclusions in the legendary Marvel What If books—and this fall, they return! Six brand-new What If stories, each examining classic Marvel characters and narratives turned on their heads, are set to drop this October! 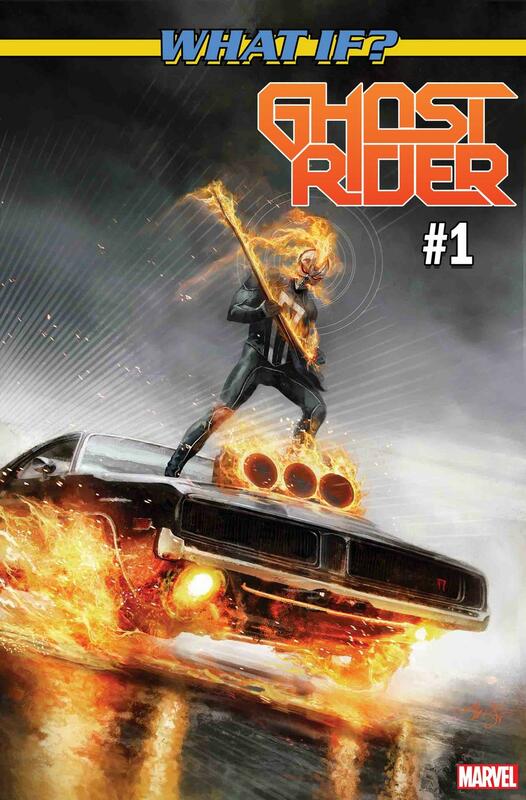 Investigate the unknown as Spider-Man, Magik, Ghost Rider, Thor, the X-Men, and the Punisher each enter realities that readers never dared to imagine…until now! Get all the details about the new What If issues below. "WITH GREAT POWER COMES GREAT…PUNISHMENT?! 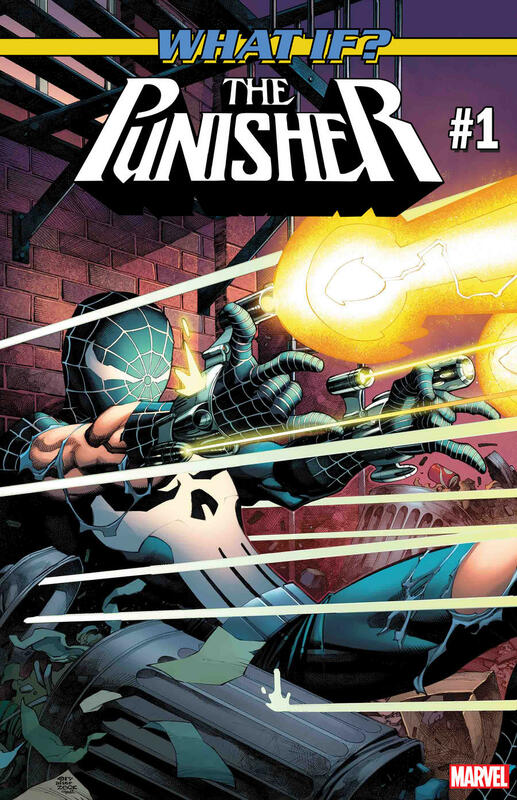 PUNISHER and SPIDER-MAN are two very, very different characters, but could they be two sides of the same coin?" asks editor Mark Basso. "They’re fueled by different philosophies and use different methods, but how many kicks to the other side does it take to turn a Peter Parker into THE PUNISHER!? Everything you think you think you know (not a typo!) about your favorite heroes and anti-heroes will change after you read this book!" Before she was Magik, Illyana was just a kid whom Limbo chewed up and spit out seven years older. So it’s no surprise that, at 15, she wants nothing to do with the X-Men...nothing to do with the New Mutants...and nothing to do with her own powers. It’s not even surprising that she runs away...but where—and who—she ends up? Well, that’s something you’ve never seen before. "Illyana Rasputin deserves better," explains book editor Annalise Bissa. "As much as we all love a character who’s been aged up, down, grown up under the thumb of demons, watched her parents die, died herself, come back, been evil, been good again, had more power changes than you can shake a stick at...any X-Fan might start to wonder who Magik would be in a world where her mutation isn’t ruled by these crazy ups and downs—where she has the chance to embrace her power early and grow from there, this is the book for you. If you like Magik, magic, or any other word for all things mystical and mysterious and maybe a little bit murderous, read WHAT IF? 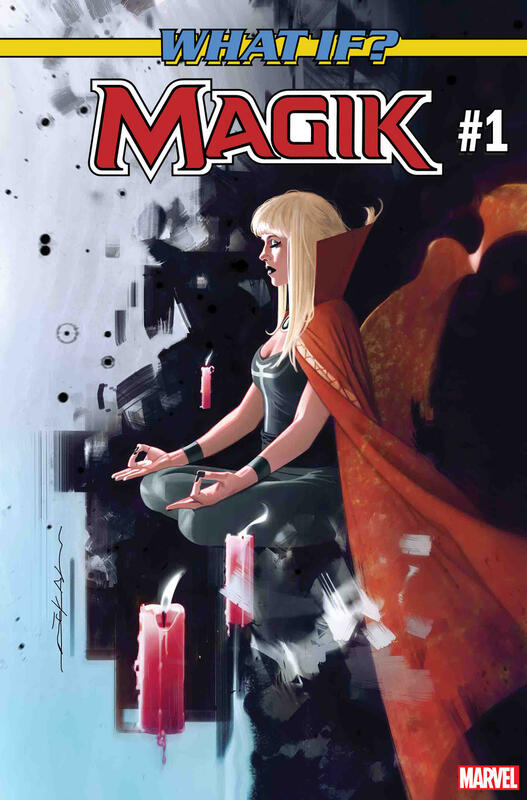 MAGIK #1." Editor Kathleen Wisneski says, "Before you read this comic, you’re going to need THREE things, friends. ONE: an extra pair of pants. TWO: some kind of eyeball apparatus designed to keep your eyeballs INSIDE your head. THREE: your mom on speed-dial. We are serving you pants-off and eyeballs-out levels of horror and shock, and if ANYONE has a chance to call you back from the ledge of insanity that this comic will lift you to, then ABANDON you upon, it’s your momma. If she’s read it first, you can hold hands on your way DOWN INTO THE ABYSS!" Oh boy. When young Thor's father falls to the King of Giants, his life is forever changed. He’s ripped from Asgard to be raised in a world of persistent winter, learning the brutal way of life in Jotenheim. But how does the runt of the giants, Loki, feel about his new stepbrother? "The ten realms better bundle up, because there’s a cold front coming to the Marvel Universe," says editor Dan Edington. "The Frost Giants helped the Gods of Asgard chill out—permanently—and have taken Thor to be raised as one of their own! Being out of his element, Thor has got to find a way to keep warm with a little help from his new brother, Loki. But can he learn to run with the giants, or will the bitter winds of Jotenheim leave Thor out in the cold? 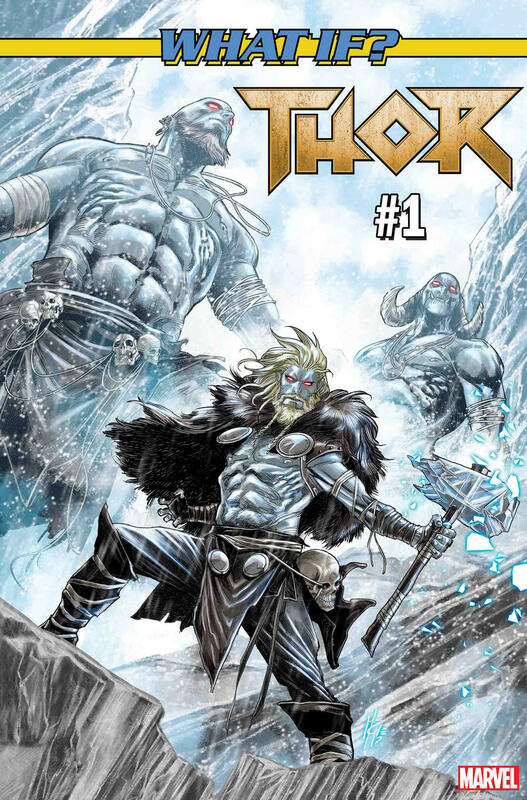 There’s only once place to find out, this October when Asgard is out, and ice is in!" 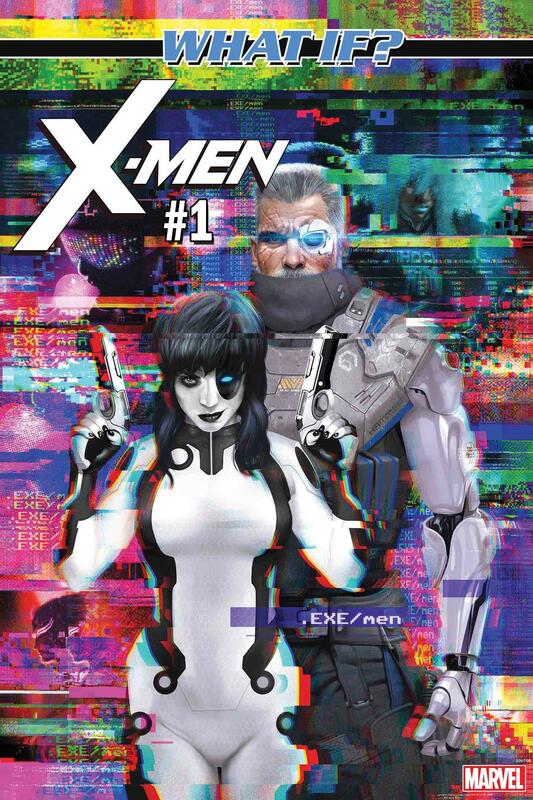 From the publisher that gave you OLD MAN LOGAN and HOUSE OF M...witness the X-Men as you never imagined! Editor Chris Robinson keeps the pitch short and sweet: "The most life-changing comic since VENOM #1. Speculators take note." Boom. 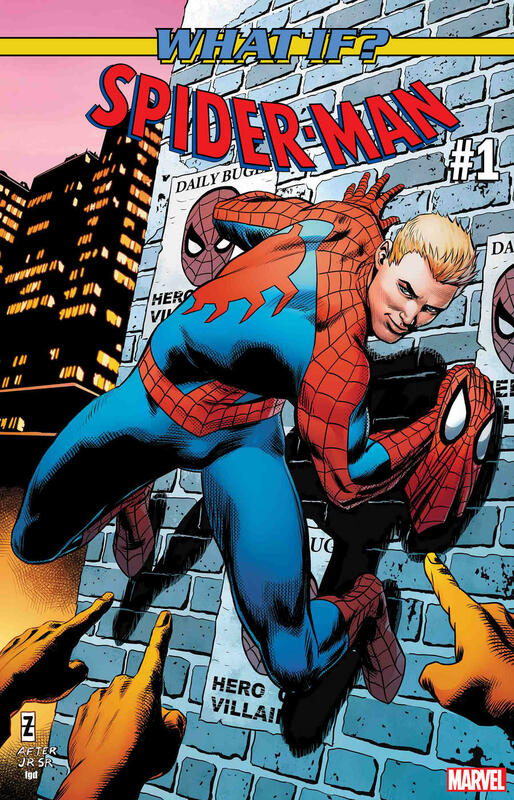 Written by Gerry Conway with art by Diego Olortegui and a cover by Patch Zircher, the questions are asked...what if Peter Parker wasn’t the one bitten by the radioactive spider? What if the person who got bit was someone who didn’t live by the mantra of “with great power comes great responsibility”? What if that person was an egotistical bully who was only interested in taking care of himself? So...What If the Marvel Universe was different? Find out this October.